Certified by the National Floor and Safety Institute. In many industries, employees are standing for long periods of time during their work shift. Businesses such as medical facilities require surgeons and physicians to be standing for 14 hour periods at times, putting stress on employees’ limbs. Restaurants and other businesses in the food and beverage industry have servers, chefs, and hosts who are constantly on their feet. These conditions can easily cause pain and damage to employees’ joints and muscles. 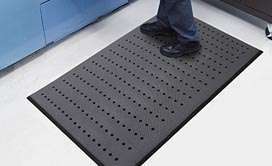 Help your employee avoid injury and fatigue by trying our Anti-Fatigue Mats. Having employees constantly work on their feet without added protection or comfort may slow their production rate. However, with the aid of our floor mats you can provide exceptional fatigue relief. Increase your employees’ productivity and decrease your company’s injuries with a top of the line quality product. 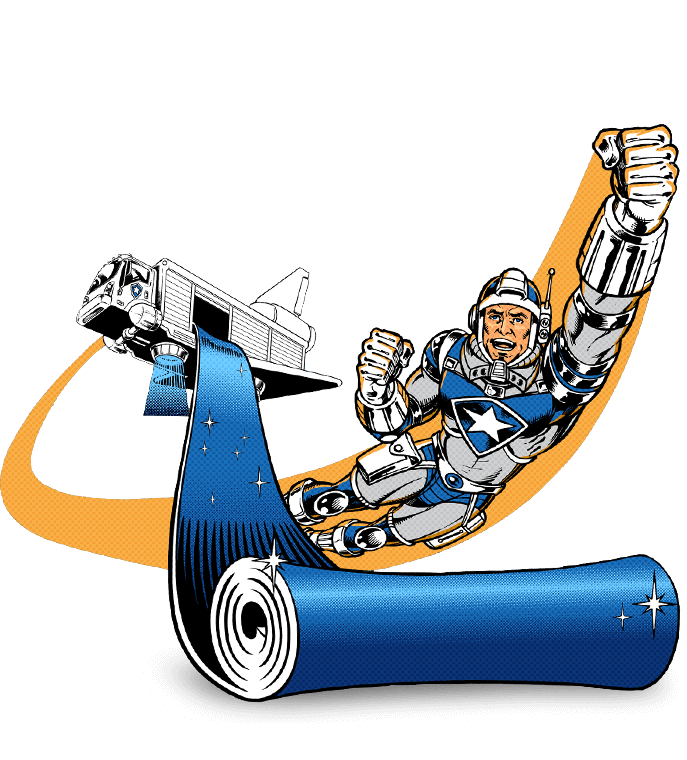 Here at NorthStar Mat Service, our product is designed to change shape as you step. Our anti-fatigue floor mats offer maximum comfort at an incredible price point. Slip and fall accidents can happen at any time; Whether it be a kitchen spill that causes the slip and fall or dirt and debris that was brought from the outside which caused a hazardous work environment. 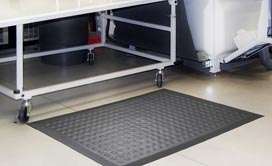 Our anti-fatigue mats provide superior traction control and slip-resistance. Your employees will stay comfortable and safe in their bustling work environment. 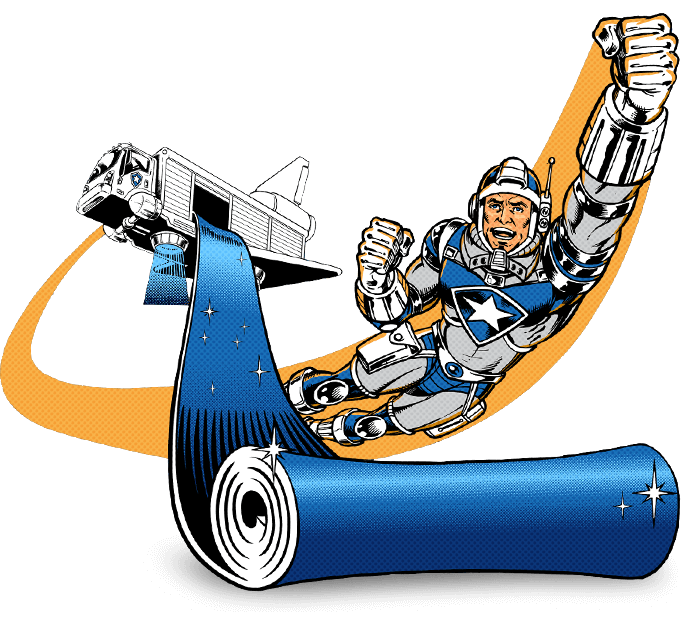 Contact NorthStar Mat Service today for a free quote on anti-fatigue mat rental services. Give us a call at 248-669- 4422 and we will answer any and all questions you may have. NorthStar Mat Service aims to providing our customers with the best quality service. We put the customer first and make sure to take care of your needs before our own.